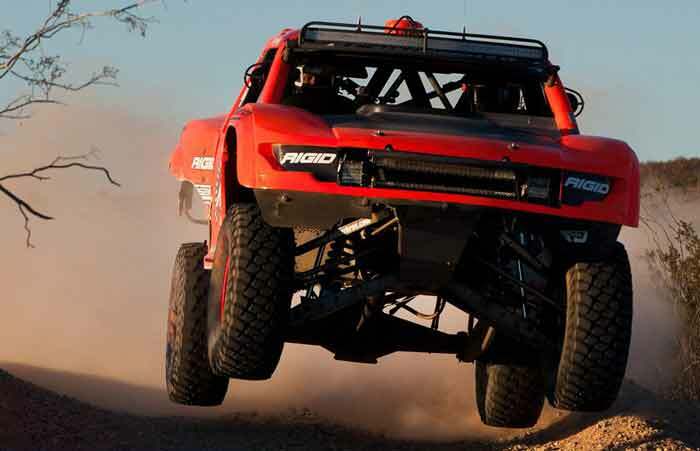 Justin Matney won the coveted Parker 425, the first round of the Best in the Desert Series in 7 hours, 10 minutes and 29 seconds. 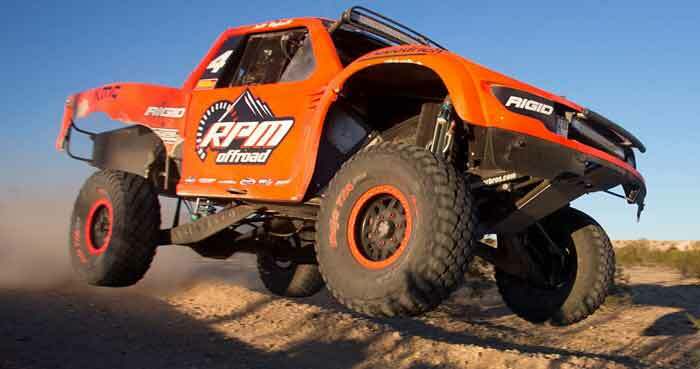 This Trophy Truck is the first AWD truck built by Jeff and Rick Geiser, and it uses our P4T Transfer Case. It is a pure gear drive to the front and rear. Plus we have a trick torque-sensing device on the drive to the front wheels, based on the Weismann Locker, that enables the truck to hit bumps flat out without transferring the loads to the drivetrain. Matney qualified a respectable 8th out of 62 talented offroad racers on a short course lap only lasting roughly 4 1/2 minutes. For Justin, it was the first time he qualified better than 25th in a trophy truck. The race consists of 3 grueling 144 mile long laps over some of the roughest desert terrain in Northern Arizona. After the first lap, several vehicles ahead of Justin suffered flats and he was only 2 seconds behind the leading truck of Rob MacCachren. Rob soon suffered engine issues that forced him out of the race. On the second lap Justin suffered a right rear flat, the only flat he got, and he found himself behind two buggies and new race leader Jason Voss. By the 92nd mile of the second lap, the buggies were out, and Tracy Graf was now leading Justin by two minutes. Justin was told to step up his pace on the 3rd lap to catch Graf and he responded to the call, pushing Graf. Fortunately Graf got a flat too and Justin was by him and went on to win the race by 2 1/2 minutes over Graf. This was Justin's first win in a Trophy Truck and our first win with the Geiser Brothers and Justin. Check out race-dezert.com for more race results, pictures and videos. Thank you to Jason Zindroski of HighRev Photography for the great pictures.